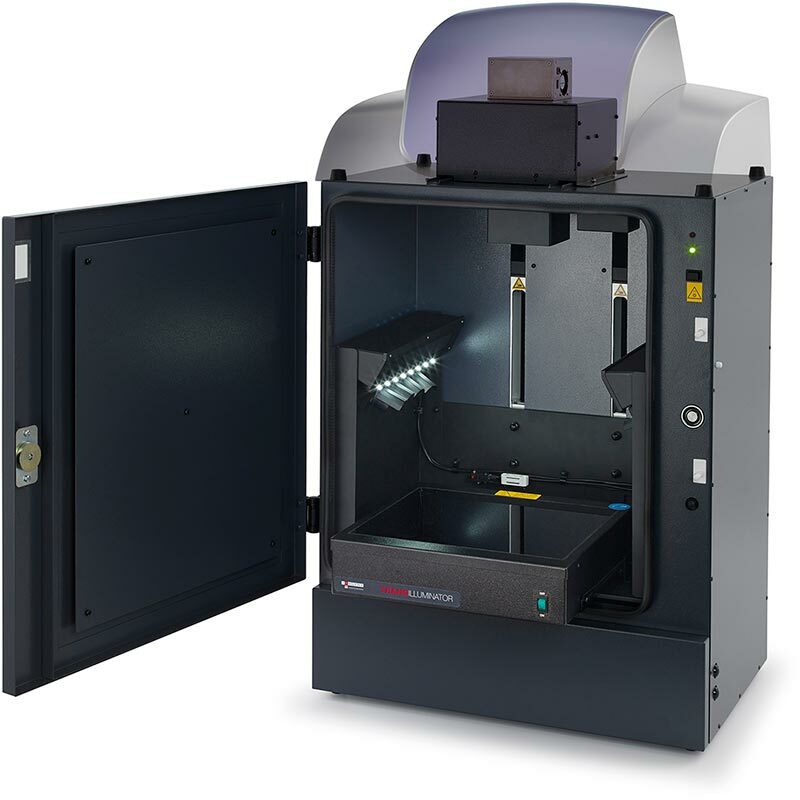 "Syngene G:BOX Chemi XX6|Gel Documentation and ECL Detection"
For high performance imaging, the G:BOX Chemi series systems provide the user with an extended range of applications covering fluorescence and chemiluminescence. Your lab’s imaging system shouldn’t control how you detect proteins on Western blots. Chemiluminescence is great if you want sensitive detection of picogram or femtogram amounts, while fluorescence lets you quantify and detect multiple different proteins on one blot. With a G:BOX Chemi XX6/XX9 you can have it all. Powered by Syngene’s revolutionary GeneSys software featuring hundreds of imaging protocols, you’re free to choose chemiluminescence and fluorescence reagents from any manufacturer, putting you in charge of how you detect your proteins. 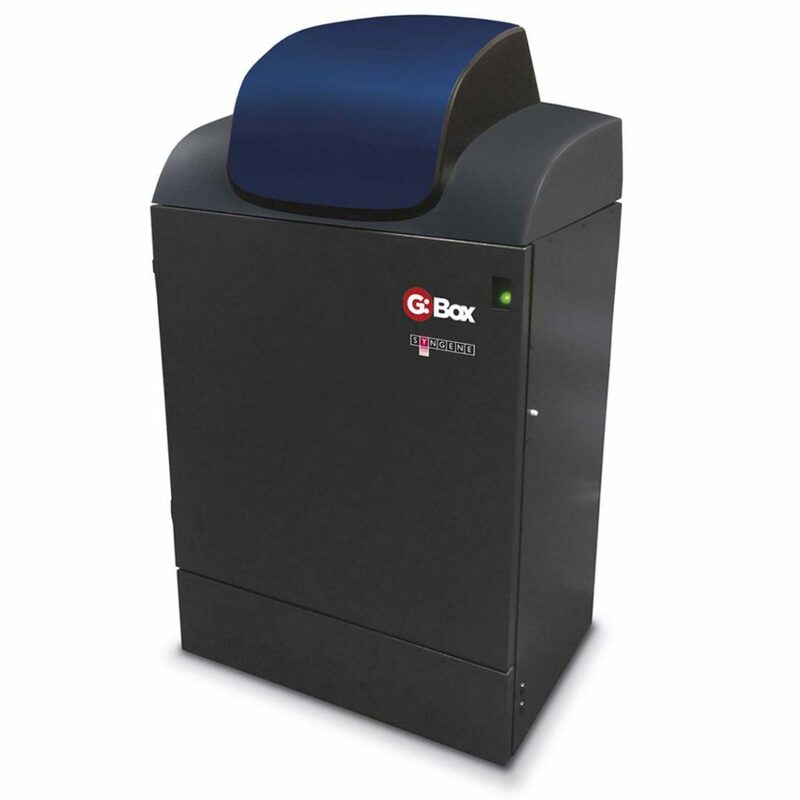 Featuring an extended darkroom, you can choose between a 6 or 9 mega pixel, cooled, high quantum efficiency camera for unrivaled levels of sensitivity with minimal background interference. HI-LED lighting options cover the full spectrum of high intensity blue, green, red and infra-red resulting in faster exposure times and publication quality images. An edge lighting option can also be used for 2D gel capture including the use of DIGE gels.